See also: Vick Chemical Company. The Smith Richardson Foundation is an independent organization started in 1935 by North Carolinia businessman H. Smith Richardson and his wife, Grace Jones Richardson. The foundation, today based in Connecticut, is ranked in the top 100 foundations in the United States by total assets. The trustees make grants to further the foundation's mission to "contribute to important public debates and to help address serious public policy challenges facing the United States." Through domestic and international grant programs, the foundation supports projects that address social, economic, and governmental institutions and help to develop policies that advance the country's interests and values in the world. In its early years, the Smith Richardson Foundation supported projects to encourage judicial reform in North Carolina and to strengthen anticommunist organizations. In later years, the foundation funded a Richardson Fellows (later North Carolina Fellows) program at colleges and universities to help young people develop leadership skills and established the Center for Creative Leadership to study and teach creativity and leadership. As a young man, Richardson entered the business started by his father, which was to become the Vick Chemical Company. 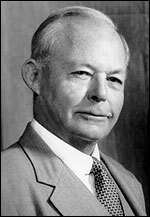 Richardson became president of the company after his father's death in 1919 and led it until his retirement in 1957. After retirement, Richardson devoted more time to philanthropy, using his foundation to support local charitable interests and expand on his belief in the power of individuals to capitalize on the opportunity afforded them in a democratic society. Richardson believed that citizens have a responsibility to support society's institutions and that "the time and thought of able men [should be] applied to the increasingly weighty problems of government and the serious social questions which now confront us." The Smith Richardson Foundation trustees continue to support programs that are consistent with this vision. H. Smith Richardson, founder of Smith Richardson Foundation. Image courtesy of Center for Creative Leadership. Available from http://www.ccl.org/leadership/research/history/creation.aspx?pageId=1682 (accessed September 24, 2012).